Letter for John Goodsir with advice and prescriptions for David Bethune of Balfour, whose health is deteriorating. Cullen now suspects 'some contraction or narrowing of some part of the Colon which laxatives or purgatives cannot remove'. 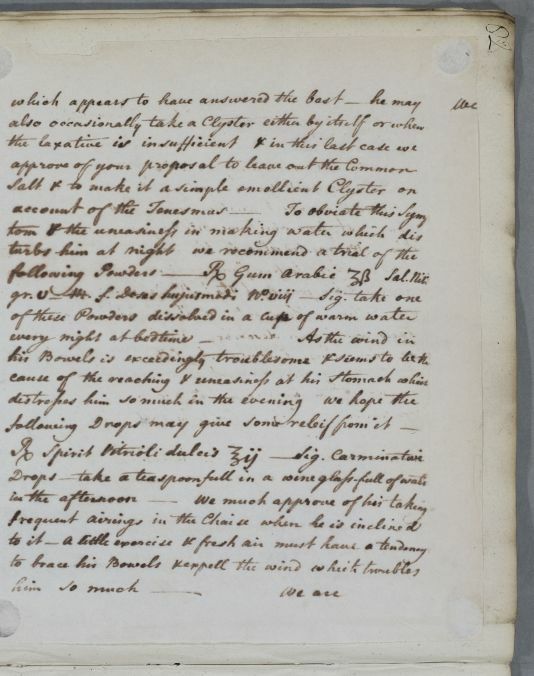 Letter missing the copy of last page which has not been mounted in the volume, but the use of the second person plural suggests that it is co-written with Joseph Black whose involvement in Bethune's case is made evident in related letters. Summary Letter for John Goodsir with advice and prescriptions for David Bethune of Balfour, whose health is deteriorating. Cullen now suspects 'some contraction or narrowing of some part of the Colon which laxatives or purgatives cannot remove'. 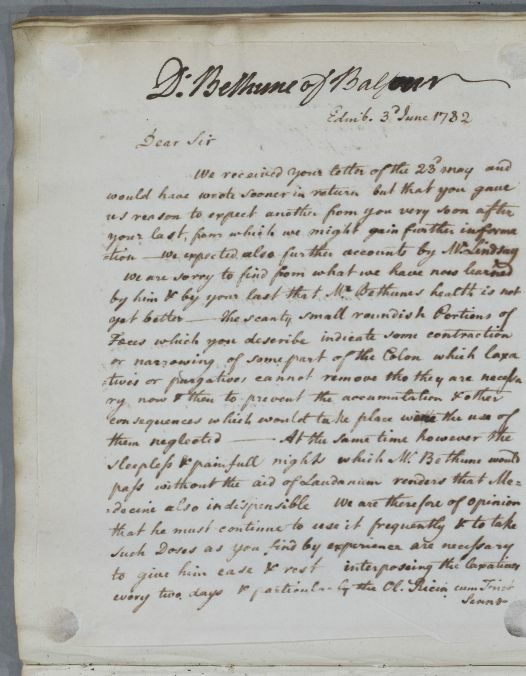 Letter missing the copy of last page which has not been mounted in the volume, but the use of the second person plural suggests that it is co-written with Joseph Black whose involvement in Bethune's case is made evident in related letters. ℞ Gum Arabic ʒſs Sal Nitr.